I have wanted to try the reverse appliqué stencil quilt for a very long time, and thought this was the perfect way to experiment. I chose all light tan/neutral fabrics out of my stash and also all dark brown fabrics. 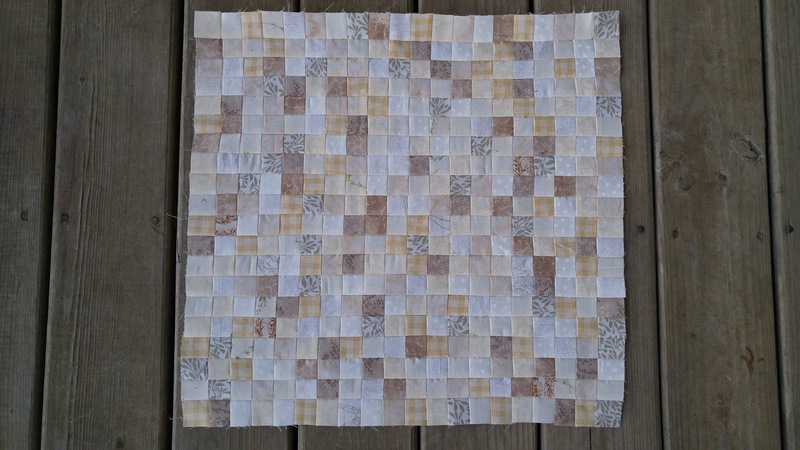 I cut them into 1 ½” squares (that would finish at 1”). 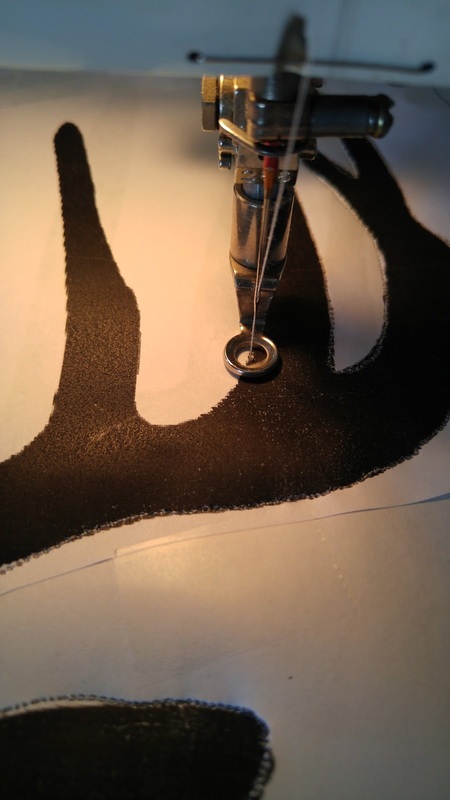 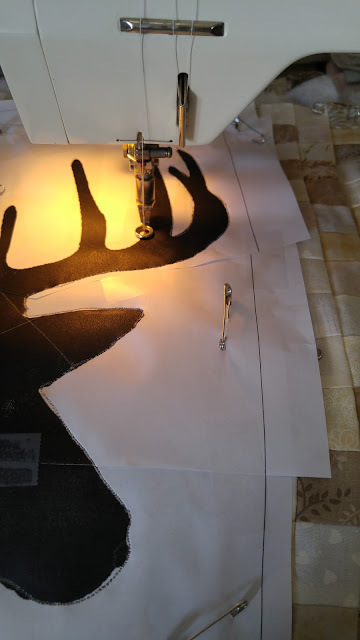 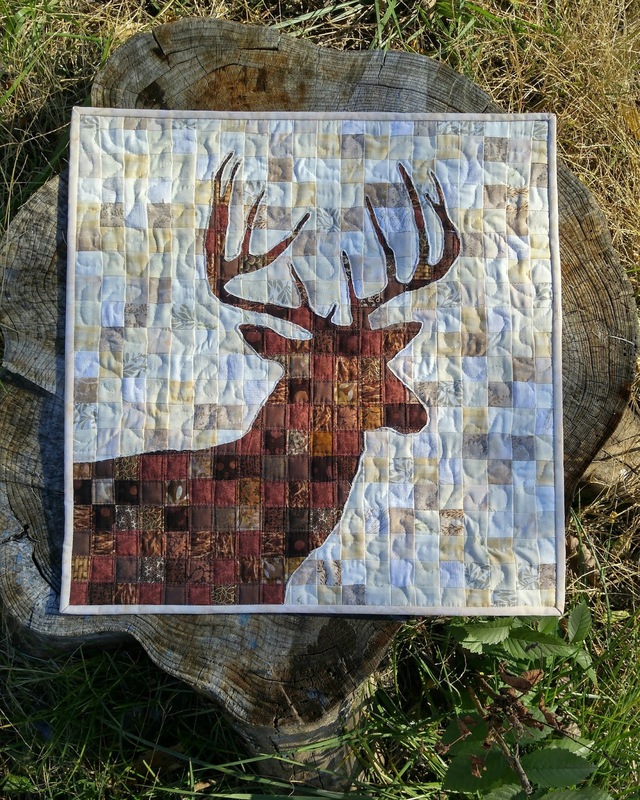 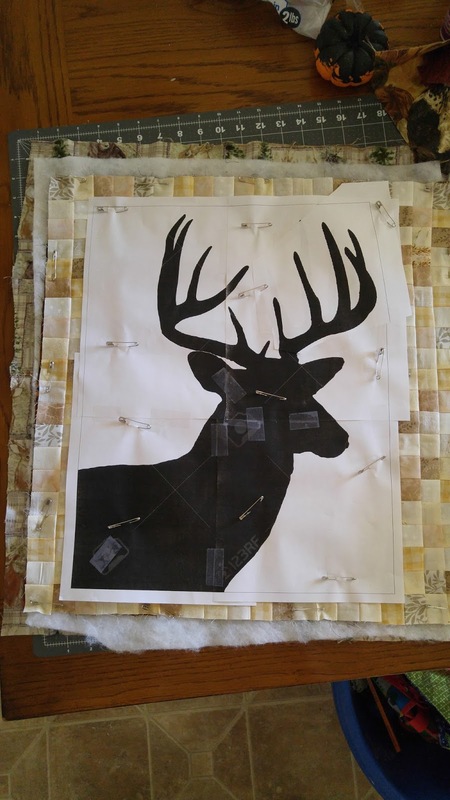 I found a picture of a deer silhouette that I liked on the internet and printed it on 4 pages so it would be large enough to cover the quilt. 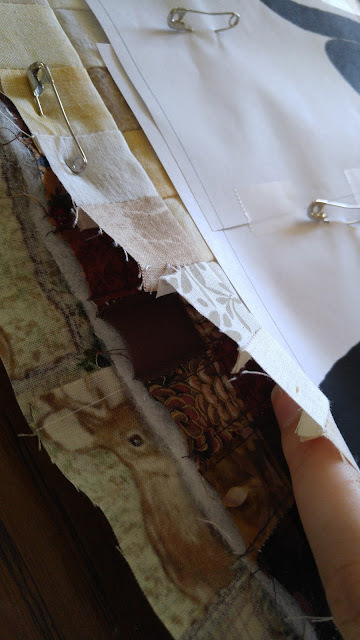 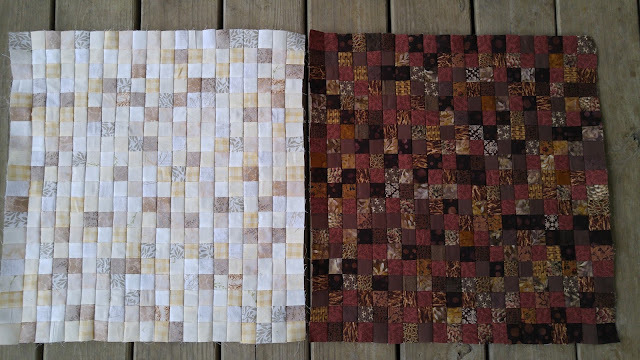 I layered the backing (fabric I got in a scrap bag from Carol’s Country Quilt Shop in Van Buren, Missouri - now closed), batting, and dark quilt top and pin basted them together. 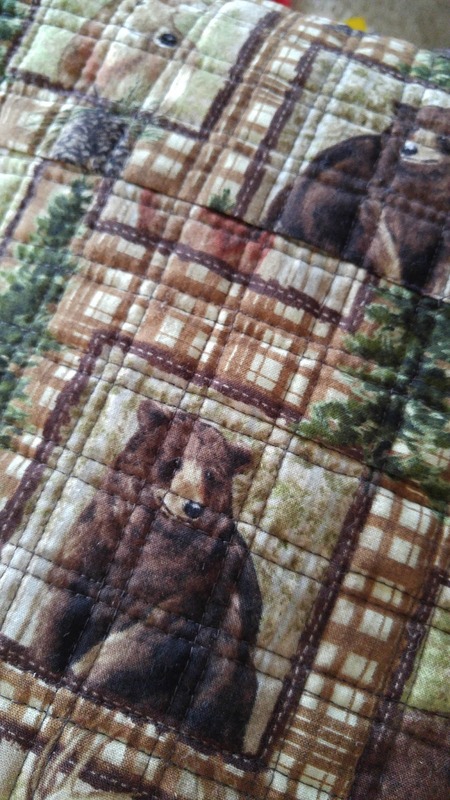 I used my walking foot on my Bernina Record 930 and quilted on either side of the seam lines. 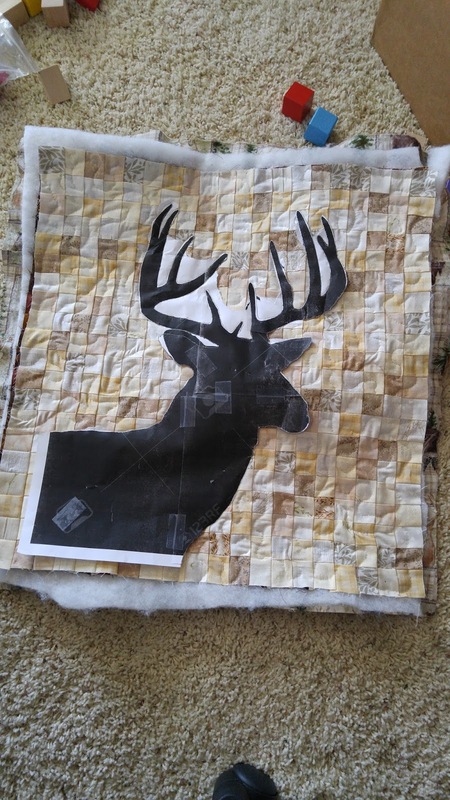 Then I pin basted the light quilt top and the paper deer silhouette on top. 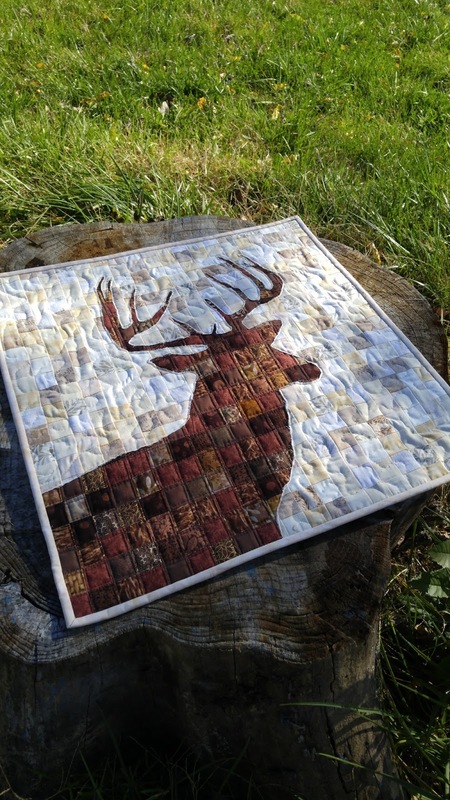 Using my darning foot, I quilted around the outline of the deer. Then I removed the paper outside that outline and quilted a stipple pattern onto the light quilt top. Then I removed the rest of the paper and cut away the quilt top that was inside the outline stitches. 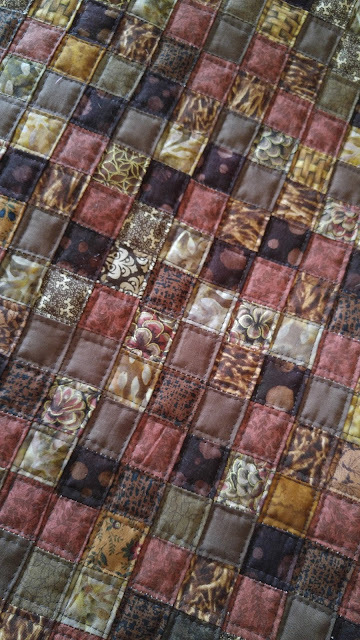 I used a light batik fabric from my stash for the binding. 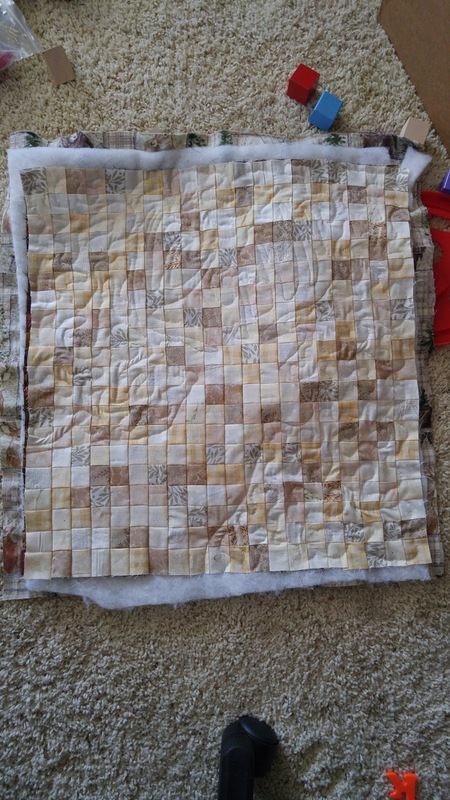 The quilt is 20" square. 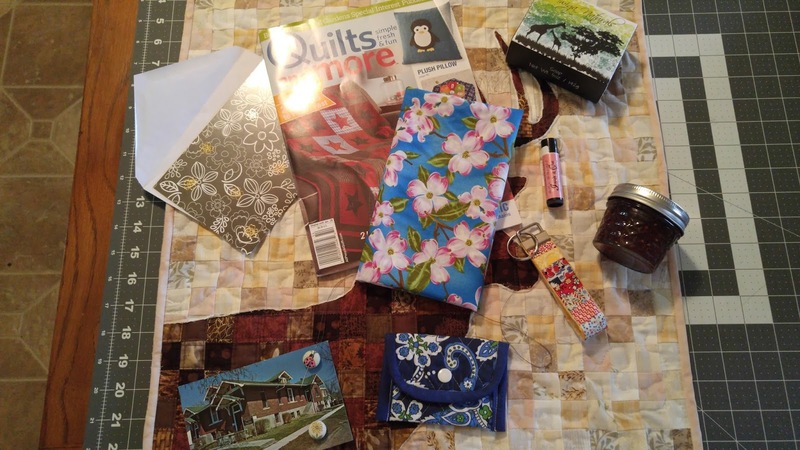 I mailed it along with some extras to Kentucky! 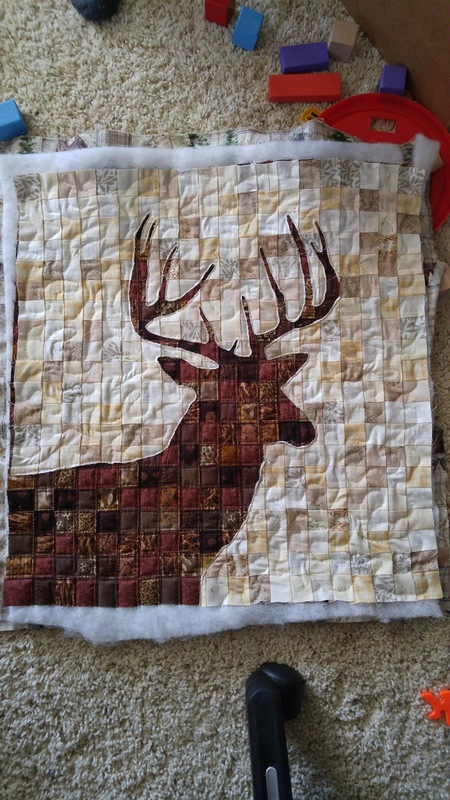 This just might be my favorite quilt I've made to date!